Eliminates the need for lock nuts and lock washers. Locks and seals while preventing parts from loosening due to shock and vibration. 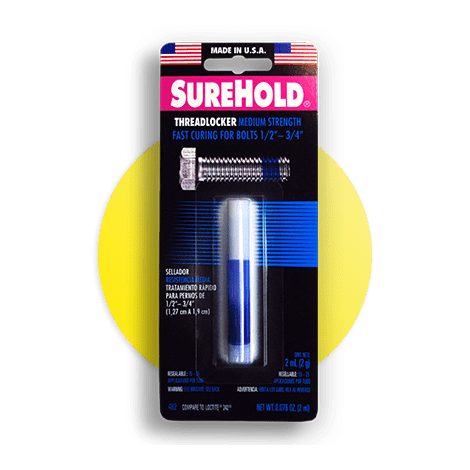 Use on all types of nuts, bolts and threaded connections on vehicles, power tools, bicycles, and more. Not recommended for use on plastic threads, nuts or bolts.